Nationalism as the rationale for development is used by regimes to achieve high levels of growth, but also generates exclusivism and hostilities, often in order to integrate a political core. Popular nationalism has also dialectically reshaped the goals and patterns of development during the post-Second World War period. 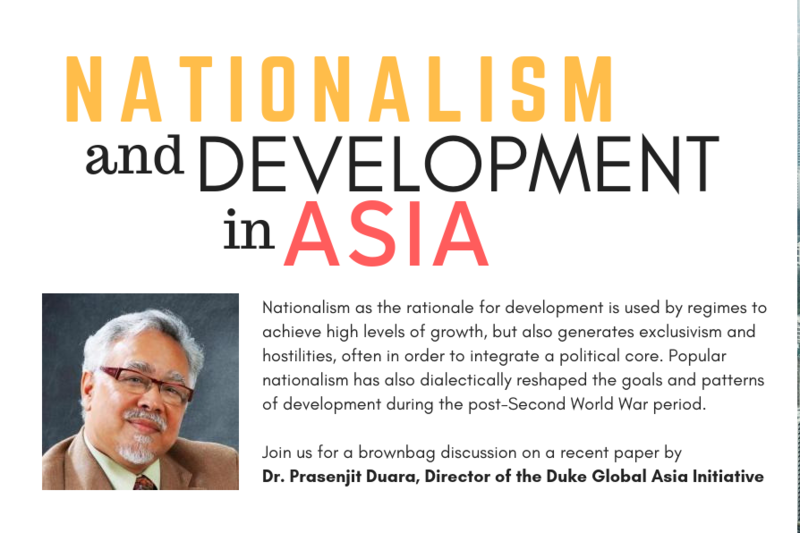 Dr. Prasenjit Duara, Director of the Duke Global Asia Initiative and the Oscar Tang Chair of East Asian Studies in Duke University's Department of History.